I got to do some interior photography recently, one of my favorite kinds of shoots. I usually would photograph a kitchen with the lights off, but after talking it over with the client, we decided lights on would be best - in part because the house was located inside a grove of trees with almost no natural light, and in part because the lighting was designed to accentuate the kitchen. I could tell from the rest of the house that this kitchen remodel really opened things up! 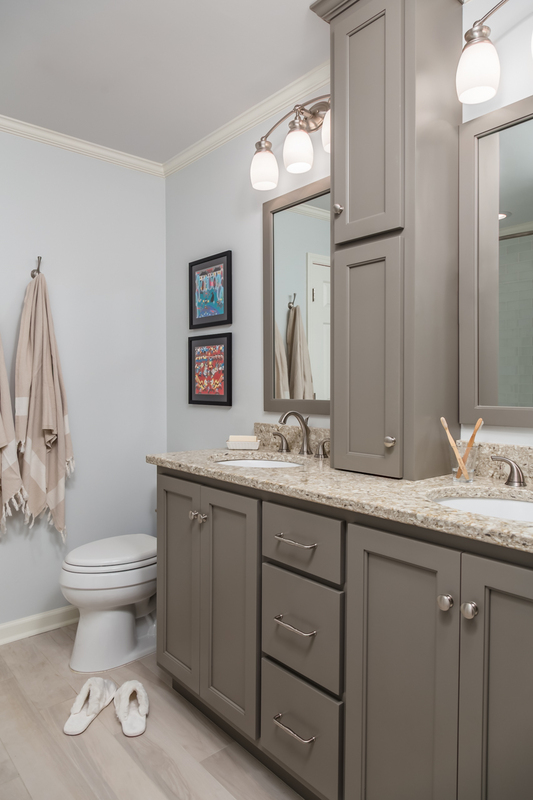 We also photographed two of the bathrooms they had remodeled in the same house. I loved what Jessica Webber did with the staging!